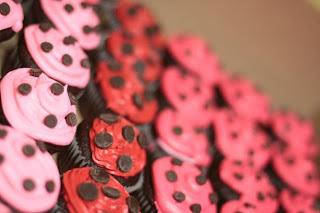 Thanks to my friend Karla I have some awesome pics of my Ladybug Cake! and the cupcakes! !Don’t you just want to EAT one? Check out Karla’s Photography HERE!! She does Weddings, Families, Kids & More! This entry was posted in Uncategorized and tagged Birthday, cakes, Hickory Mom Blogger, Hickory NC, Karla C Photography, Ladybug, Ladybug Cake, Ladybug Cupcakes, Photographers in NC. wow, those are adorable! Yes, I’d like to eat more than one, haha! Thank you Kat! They tasted just as good as they look! I wish I would have frozen some!!! Thanks again!!! You are the best! That is the CUTEST cake!! I love it!! I am following your FB too! Cute Blog. Love the ladybug. New follower from “Friday Follow”! Love for you to come visit me! Wow…those are wonderful pictures, but even better cake and cupcakes! Adorable..you have some talent momma! Thanks for stopping by. I am not following your blog as well. Have a wonderful weekend. I cannot wait to read more posts. Very cute…the cake and the cupcakes. What a fantastic job you did! 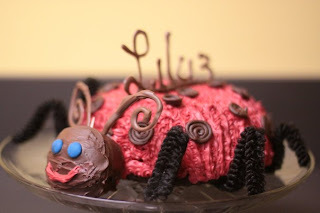 I did a ladybug cake too but nearly as fancy.